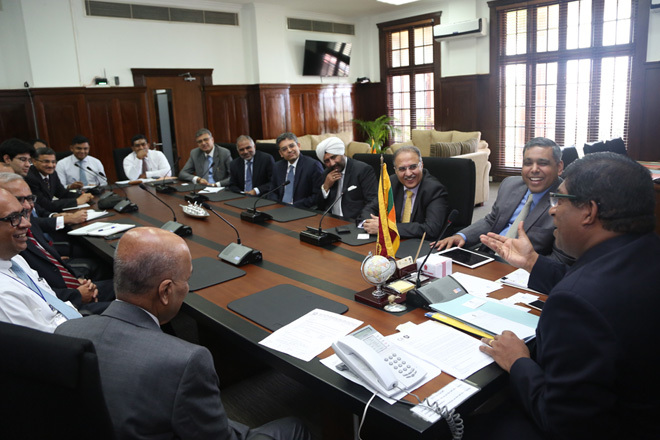 May 27, 2015 (LBO) – Sri Lanka’s Finance Minister Ravi Karunanayake on Wednesday met representatives from Indian Tata Group, at the Ministry. The Group Head of Business Development, Madu Kannan were present at the occasion. 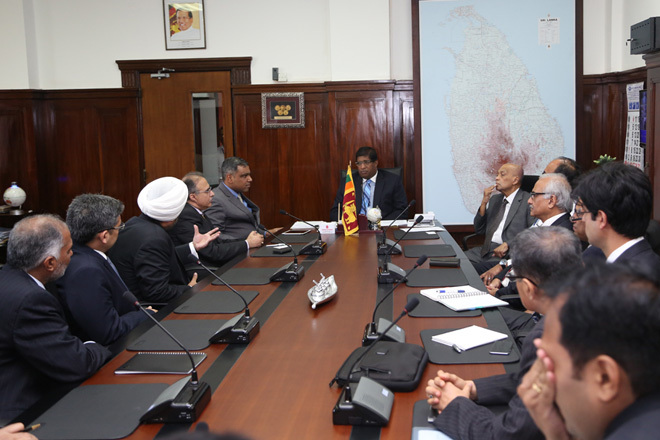 Their visit aims to study how its investments in the new economic environment has emerged in Sri Lanka.